Dental veneers are a treatment that fall under the cosmetic dentistry field, as they are all about improving the look of your teeth and smile. They are a way of getting that Hollywood smile that you so desire. The actual veneers are thin shells that will be bonded to the surfaces of your teeth, giving you the perfect smile. The veneers can be fabricated to a shade of white to suit your needs. 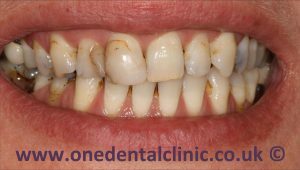 We undertake work with veneers at our Tamworth / Lichfield clinic. Why Would You Want Veneers? Dental Veneers are all about giving you that perfect smile. 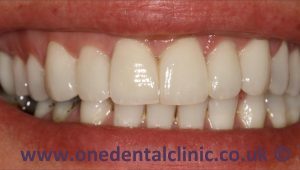 If you are unhappy with any part of your teeth (shape, colour, length), then veneers could be the treatment you are after. Our prices for composite veneers start at £120 per tooth and our porcelain veneers start at £550 per tooth. We are able to offer flexible payment plans to help break down the barrier to treatment (0% finance) and will be happy to book you in for a free consultation to discuss your needs. Talk to us at our Tamworth / Lichfield clinic about your veneers today.